Wondering where to go in 2018? Here is a list of the hot destinations to go to and the time of year to go as well. I have been to all of these hot destinations except Bosnia and Herzegovina – I need to get there ASAP! January is high season in South Africa for a reason. The weather is just perfect and the sun is shining every single day. There are endless sights and things to do in South Africa. The most African city in South Africa, the hip Johannesburg, also called Jozi and Joburg is a great city to explore. The city has great street art and a lively bar and café scene. A visit to Soweto, Africa’s largest township, is also worthwhile. 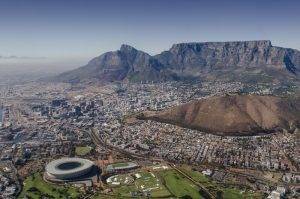 On the west coast of South Africa is the Cape region and Cape Town, where it is best to explore the area with a rental car. You can drive all the way down to Cape of Good Hope and along Chapman’s Peak Drive and to the other side of the Cape to Simon’s Town where you can visit the famous penguin colony. And you have to go up to Table Mountain – the best spot to watch the sunset over Cape Town. Not to be missed is a visit to one of the national parks such as the Kruger National Park, where you can experience the Big 5 – elephants, lions, buffalo, rhinos and leopards. Pure Africa! Look forward to the best temperatures and long days in January. And remember your binoculars if you are going on safari because some of the animals will be far away. Check out my posts on one of my favourite countries in Africa – South Africa! If you’re looking at Asia in winter, India is the place to be! Think pleasant temperatures ranging between 10-15 degrees Celsius in most parts, no sudden showers and the possibility to experience a wide range of colourful festivals no matter what part of India you choose to visit. If you’re looking to visit the Golden Triangle – Delhi/Agra/Jaipur, there’s the festival Taj Mahotsav which is a great option if you plan to visit the Taj Mahal. If it’s spirituality you’re after, then the World Sacred Spirit festival happening in Nagaur and Jodhpur in Rajasthan. You could head off for a desert safari after that! Up north in Jammu and Kashmir, you’d still be able to get the last glimpses of snow and maybe participate in winter sports too. If you head to the East, the seven sister states (Arunachal, Sikkim etc.) welcome you to a range of culinary delights and dreamy landscapes. Or you could opt for Goa, where there’s an abundance of seafood and you could attend the Goa Carnival which takes place before Ash Wednesday. 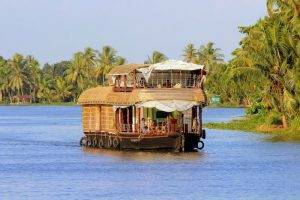 Kerala is always beckoning visitors to experience its traditions and backwaters or you’d prefer something offbeat, try Madhya Pradesh, Karnataka or any state you haven’t heard of before, as there are 29 to choose from! Most people rush to visit New South Wales in Australia and particularly its capital of Sydney over the summer months (December-February). As a native, I’ve always thought of this as being a bit silly, especially when March is one of the nicest months you can spend in Australia. Despite being the first month of autumn, it’s still quite warm – certainly beach weather along the East Coast. Yet, it won’t be so hot that you find yourself perspiring with every step, so you’ll actually have the energy to go see some of the state’s sights. Normal, everyday Australians (students and professionals) will be back at school, university and work, so it’s quiet. It’s the tail end of peak season, so the expense of activities and accommodation will begin to lower significantly. NSW is Australia’s first state and the most densely populated, so there is an abundance to see and do there. Every Australian itinerary should include Sydney, but I also recommend getting off the beaten path to explore a few lesser-known destinations. Nearby Newcastle (two hours up the coast) is a decent city to explore as are Port Macquarie and Coffs Harbour further north, or Wollongong in the south. Or, travel further inland to regional cities like Tamworth, Goulbourn, Armidale and Orange. If you’re in the mood for a decent road trip, or want to experience the Australian outback, Broken Hill is a regional town and artist’s community located a 13-hour drive from Sydney. You may recognise the nearby Silverton Hotel, immortalised in the movie “Priscilla, Queen of the Desert”. This small Caribbean archipelago is a very special place on earth for its culture, history, and natural features. While part of Colombian territory, the locals speak English Creole (similar to Belize and Jamaica) as it was settled by British slave owners. Some great activities to do are scuba diving, snorkeling, eating seafood, exploring the islands by golf cart or scooter, and relaxing at the beach. This island group doesn’t have a particular ‘bad’ month to visit – feel free to visit any time of the year – but it’s best avoided during Colombian holidays when the islands get crowded. Depending on your fascination with nature and crustaceans, April will be the best or the worst time to be in San Andres and Old Providence; the annual crab migration happens around this month. During the migration, heavily pregnant black land crabs crawl down the hills towards the sea. There, they wash off their eggs to be hatched. The result? A gazillion of ant-sized baby crabs covers the road, and traffic comes to a halt. Despite efforts to protect them, many newborns don’t make it back to the forest. There are some people that like to cover their arms or faces in heaps of harmless baby crab. To me, that’d be something reserved for horror movies. If you are looking for the best time to visit Peru, May is it! Since Peru is in the Southern Hemisphere, the country is actually entering into its ‘winter’ time during May. This means that the Peruvian weather is beautiful and a little bit cooler so that hiking or being outdoors is more enjoyable. The desert is bearable during the day and oh so much fun and chilly at night. Any treks you may take will be quite enjoyable during May as the weather is good and not too rainy. Visiting Peru in May is also a bit cheaper because it is a shoulder season. Peru is always quite affordable but the late spring sees even cheaper prices on hotels and tours. If you are looking for something truly different, affordable, and beautiful to see in 2018, consider a trip to Peru! Don’t forget to see the rest of the country and not just Machu Picchu! Check out my post on Machu Picchu! A name can change everything. The road circling the Scottish Highlands had always existed, the winding single-tracks long providing a lifeline to farmers, fishermen and villagers in this beautiful but remote region. But, after being christened the North Coast 500 in 2016, the route has quickly become established as one of Europe’s most popular road trips and a key reason why many people planning a summer in Scotland. After all, the weather in this part of Britain is notoriously temperamental, and visiting in the month of June vastly increases your chances of sampling these beautiful landscapes under clear blue skies. And, alongside the distilleries, picturesque lochs, beautiful castles, diverse array of wildlife and outdoor adventures on offer, visiting in June will allow you to experience that rare occurrence – a gorgeous Scottish beach in the sunshine! Who knew the north of Scotland even had beaches like the ones you can find in the Highlands!? The North Coast 500 offers the tartan, bagpipes and shortbread experience for which this country is famous (and a fantastic number of ginger Highland cows), but there are enough surprises over the five hundred plus miles to show you a whole new side to Scotland. If you are making travel plans you should consider visiting Germany in July. Germany is the perfect place to visit at that time. While there is no guarantee for sun in July the chances are quite high you will have a beautiful summer trip. German people are friendlier than usual, some might even smile in July. Though you will not find Carribean-like beaches you will still find some very nice beaches that are worth a visit, like Sylt, or just visit one of the amazing and vibrant cities like Hamburg or Berlin, or cute medieval towns like Rothenburg ob der Tauber. There is a lot to see in July. There are many great festivals and open-air events, and no matter where you are headed in Germany you will always find some peaks and a lot of greenery to have picnics and to get a tan. Many lakes in Germany are clean enough to swim, so July is the best time to hop in a lake and just relax. If you are a more active person and enjoy the hectic city life then you will have a great time in Berlin, Hamburg and discovering Germany´s cities in summer is absolutely fun! My insider tip: Visit Bremen, which lies in the northern part of Germany, in July as there is a very popular summer festival that will charm you and getting lost in the old town of Bremen and having a coffee at the market square is just perfect in July! Kenya is one of those destinations that every traveller needs to visit. It’s full of vibrancy, natural wonders and most importantly… Wildlife! August in Kenya is in the midst of the Great Wildebeest Migration; the time of year when over 1.5 million wildebeest travel from Tanzania to the beautiful Maasai Mara in search of rich green grass. During this time of year, the Maasai Mara is simply overflowing with wildlife – so for those that want to see animals in their natural habitat, this is definitely the place for you! Here, the weather is warm, the animals abundant and the views will leave you speechless. For those wanting to get a taste of one of the most magical wildlife events, visiting the Maasai Mara in August is simply a must do. Witnessing the intensity of the Great Migration is truly the experience of a lifetime… One that you absolutely don’t want to miss! Check out my posts on Kenya where I took my first ever safari! September is the best month to visit Bosnia & Herzegovina. Why? The temperatures and crowds aren’t at their highest in the heavily touristed cities, Sarajevo & Mostar. September allows you to be flexible in your plans without running into problems with everything booked out in advance. Sarajevo and Mostar are both great cities, and deserve your visit. With the summer heat bouncing off the concrete and crowded walking streets, they aren’t the most comfortable places in peak season. In September the temperatures are still warm and you have space to take the photos you want to take and capture our memories. The Bobsled Track in Sarajevo, thriving with day tours, feels abandoned again as distant voices echo through the concrete tracks. The walking tours are a comfortable size, allowing you to take in all the learnings in a relaxed atmosphere. I had the opportunity to visit Trebinje, a less-touristed city. With new hotels and restaurants opening and closing, getting to see reviews from recent visitors ensures you can get up to date information. Are you thinking of booking a hotel that opened at the start of summer? You can be sure, all of the little things that go wrong during the opening period have been solved. Iceland is the perfect place to venture to when October hits. We just got back from our ring road trip around the country and fell in love with the beautiful fall colors there. All the trees were shades of red, orange, green, and yellow and the famous Icelandic moss was bright green. It was truly a sight to see! The weather was pleasant during this time of year and we were able to go hiking in brisk cool weather. We still recommend traveling with a rain jacket, gloves, and winter coat though – it’s Iceland and the weather is notorious! Another great aspect of traveling during this time is that it is shoulder season. Prices for car rentals and lodging are lower and the summer crowds have since returned home. We had open roads and enjoyed getting “off season” prices on our travels here. Night time starts setting in around 6:30 this time of year many visitors stand a good chance at catching the northern lights. We were lucky enough to see them on our 12-day trip, and they really are as amazing as the pictures show. 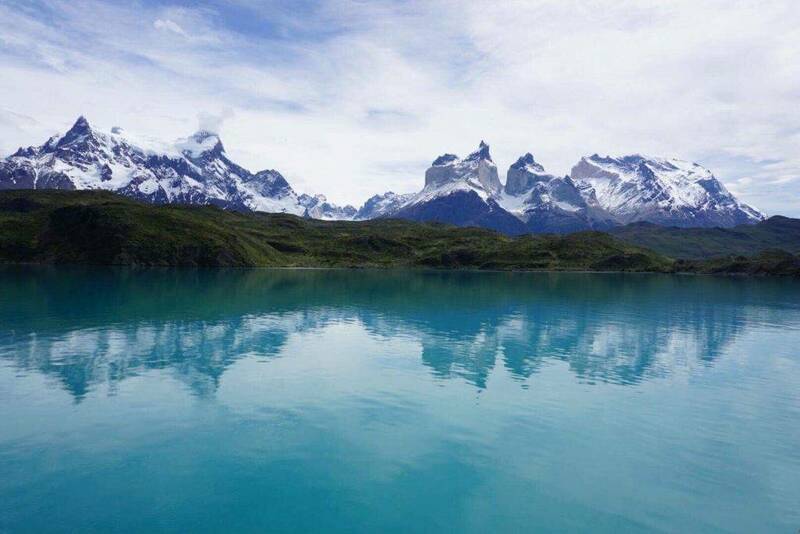 The region of Patagonia in Chile (and yes in Argentina too!) is one of the world’s most magnificent natural wonders and should certainly be on your to visit list in 2018. It’s a land filled with vast landscapes, towering mountains and glistening lakes. Still not convinced? Well we can’t forget the unique variety of wildlife from the free ranging guanchos, skunks and deers to the wild foxes and pumas. It’s an adventure lovers paradise. But when to go? November is the most optimum time to visit if you want to explore the raw beauty and wilderness of Patagonia. It’s the very start of the tourist season so price wise is still a little bit cheaper then high season which runs from December to February/March. Don’t be concerned about the weather. The mountainous region has its own microclimates. One morning you might be hiking in sunshine and go over a mountain pass to a light snow fall. No matter what time of year you visit you risk getting sunburnt, windswept and snowed on. All in a single day. But the pure pleasure of travelling here in November comes from the lack of tourists. There’s enough people around to keep you entertained but not so many that the trails get over crowded, buses aren’t booked out and hostels are easy to come by. Warm, sunny beaches and the clearest waters. $10 USD massages on the beach at sunset. Plenty of islands to explore. The most mouth-watering food. And temples galore. Thailand should be at the top of your list to visit in 2018, and December is the best time of year to go. December marks the beginning of “cool” and dry season. The climate varies, and experiences both summer and winter monsoons, but you’ll get the best weather and least amount of rainfall starting in December. Early part of December is also your best chance of still getting cheap airfare before peak season really hits. If you’re planning a 10-14 day vacation, spend 1 day in Bangkok to experience temples, markets and some of the best food in the world. Next head to Chiang Mai to chase the Bua Tong Waterfalls, climb mountains in Doi Inthanon National Park, and play with elephants at the Elephant Jungle Sanctuary (a humane center!). After a few days in Chiang Mai, head to the islands. Krabi is a can’t miss destination for stunning beaches, limestone formations, scuba dive sites, and dine in a restaurant in a cave. Also spend a few nights on the Phi Phi Islands for access to world-famous Maya Bay before all the day-trippers coming in from Phuket. Make sure you also catch a massage on the beach. Looking to party? Stay on Koh Samui for access to the Full Moon Parties. Or craving some time under the sea? The best diving is found on Koh Tao. And that rounds up the top hot destinations for 2018. Where would you like to go in 2018? Have you been to any of these hot destinations? Stay tuned, I’ll be writing a post shortly letting you know where I plan to go in 2018.